Upgrade your drives around New Haven and Wallingford with a Certified Pre-Owned Jaguar. When you want a luxury car for a great price, your local authorized Jaguar retailer has a wide range of CPO vehicles–browse our Jaguar approved certified pre-owned offers below to save even more and contact us for a test drive! There are many benefits to buying a CPO vehicle, including getting a great car deal, a vehicle history report, and excellent warranty coverage. A Jaguar CPO model means even more benefits from the Jaguar EliteCare certified pre-owned program, like 24/7 roadside assistance, a 165-point vehicle inspection, and up to 7 years/100 miles of warranty coverage with genuine Jaguar parts for repairs and replacements. Whether you’re looking for the heart-pounding model like Jaguar F-TYPE or a popular and spacious Jaguar F-PACE SUV, you’ll find it at Jaguar North Haven. Take a look at our certified pre-owned offers to get a great deal on your next luxury car purchase! 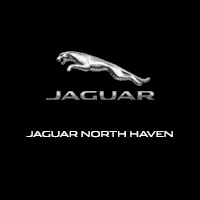 Find the perfect vehicle for you and then stop Jaguar North Haven to get started.